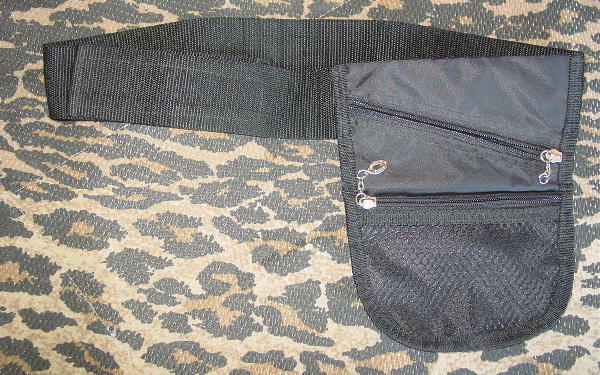 This black fabric little hip purse is by Steve Madden. 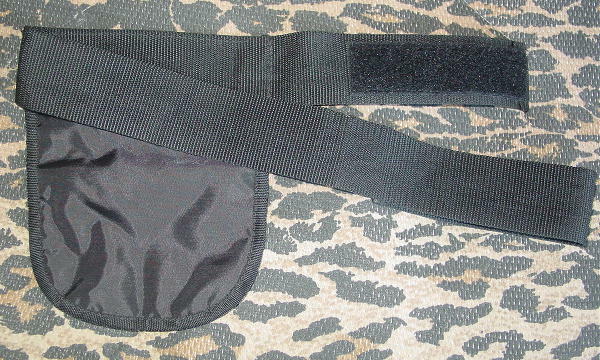 It's attached to a 2" wide fabric belt with a 5" long velcro closure. There is a diagonal top zippered pocket and a lower see-through net zippered pocket with an oval silver-tone pull with an etched Steve Madden on the lower pocket.